While at the track, go to see a new exhibit dedicated to Indy 500 legend, A.J. 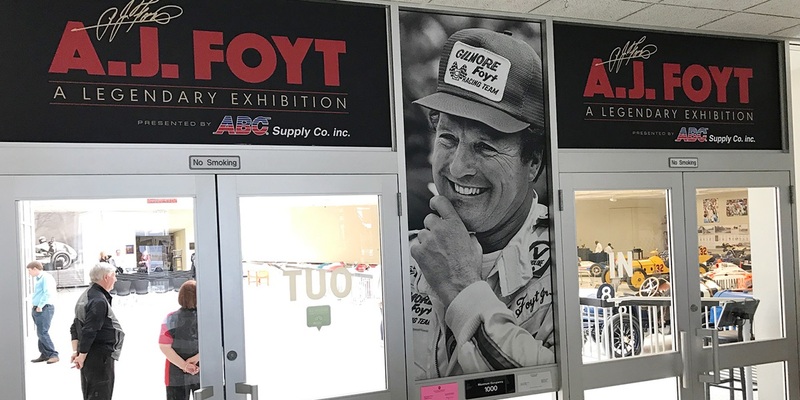 Foyt—the man behind Foyt Racing that ABC Supply has partnered with for the last 13 years! This extraordinary exhibit honors the career of one of the biggest names in auto racing history and it is also the largest exhibit dedicated to a single driver that the Indianapolis Motor Speedway (IMS) Museum has ever done. Celebrate AJ’s victories, and see cars and memorabilia from his personal collection as you recall the exceptional accomplishments unequaled by any other American driver. To see more information on ABC Supply Racing visit here. Spend the evening as you wish, enjoying the amenities of the Hilton, or the shops and nightlife of downtown Indianapolis. There are many hot night spots located just a few blocks from the Hilton.